This product is only available (free of charge) to Members. You may learn more about the benefits of Membership here or log in to your account to upgrade. I am delighted to announce the publication of my 2018 Piemonte Report. This is the largest initiative I have ever published and I hope that it enlightens Piemonte lovers like never before. With 148 estates featured, well over 1000 wines and 84,000 words of tasting notes, this body of work is the result of exhaustive tastings in Piemonte over the last four years as well a number of smaller tastings in London, too. As every year passes, I include another layer of notes, releasing them as an evolving vertical analysis of the finest estates in both Barolo and Barbaresco. 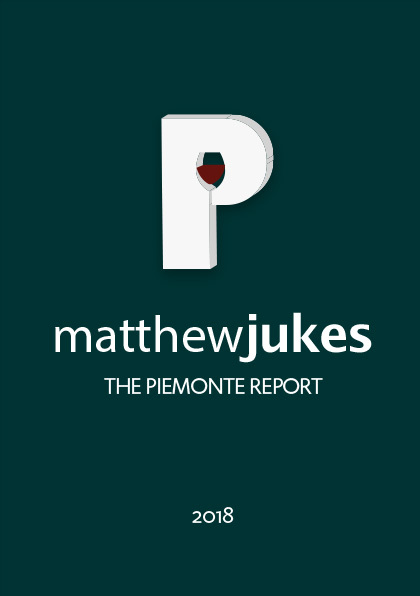 My annual Piemonte Report differs from my other Reports – Bordeaux En Primeur, Burgundy En Primeur and 100 Best Australian Wines, because these are all annual Reports reporting on current releases. It is my intention that this Piemonte Report becomes a valuable database of tasting notes for those of you who are, like me, captivated by the Nebbiolo grape.